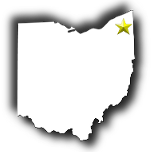 Daniel Sartor has been serving your residential and comercial plumbing needs for over 27 years in Northeast Ohio, including Lake, Ashtabula, and Northern Geauga counties. Dan has owned and operated his family bussiness and has helped to build up the community in which he lives by constantly striving to better serve his customers with the highest quality skills and labor. Each of Dan's trucks are fully stocked right from his home warehouse. His professionalism and friendliness have earned him the best of reputations in Northeast Ohio. 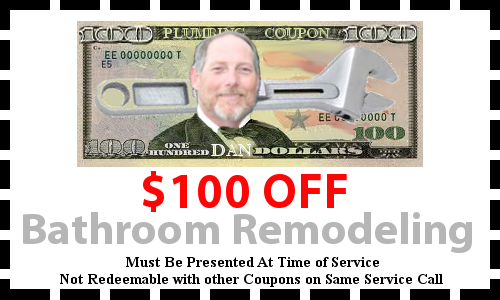 Dan provides plumbing service for the following major areas: Madison OH, Mentor OH, Concord OH, Chardon OH, Kirtland OH, Roaming Shores OH, Willoughby OH, Willoughby Hills OH, and Painesville OH. 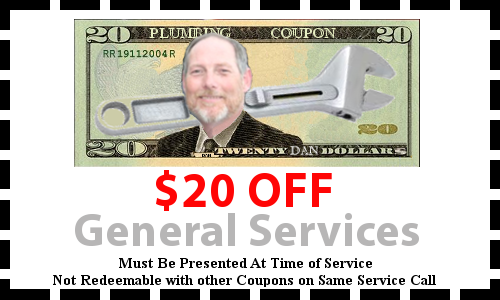 Dan looks forward to serving you and meeting all	your plumbing needs. Born in Toledo, Ohio in 1957 to Gene and Rita Sartor, Dan is the oldest boy in a family of nine children. He attended Blessed Sacrament grade school in Toledo until the family moved to Euclid, Ohio in 1968. Dan finished grade school at Holy Cross in Euclid, continued education at St. Joseph High School in Cleveland, Ohio, where he graduated in 1975. Dan started his plumber's apprenticeship in October 1977 and obtained his journeyman's license in 1982. In May 1983, Dan officially started his business and went on to obtain his Cleveland master plumbers license in June of 1985. Dan started dating his future wife in October of 1985 and married her in May of 1987. In October of 1988 they welcomed their first daughter Katherine; their second daughter arrived in June of 1990; third daughter in June 1993; first son Daniel came in Dec. 1998, and second son, Patrick came in Feb.2001. In May 2010 the family gained a son-in-law, Nathan, when Katherine married. That brings us to today, where Dan is still proudly serving the community. You can rest assured that Dan and his crew are the most competent plumbers in the industry. We guarantee you a positive service experience. Dan is responsive to your needs and will treat you and your home with respect. Daniel Sartor Plumbing is a full service residential & commercial plumbing company, servicing the Northeastern Ohio counties of Lake, Ashtabula, and Northern Geauga. You can rest assured that Dan and his crew are the most competent plumbers in the industry. We guarantee you a positive service experience. 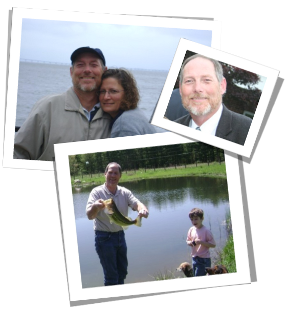 Dan is responsive to your needs and will treat you and your home with respect. Trusting an experienced plumber like Dan assures you that the problem will be addressed and fixed in a short amount of time, completing the job right the first time, so there is no need to worry about shoddy workmanship that offers only a temporary fix. Running water provides the basis for everyday life, including washing the dishes, cooking, showering, gardening and many other activities. Without it, family life comes to a standstill. Dan can ensure that all of your plumbing needs are met so that you can go about your daily household routine with ease. You can trust Dan to perform basic and advanced water line repairs for your Home. Dan has been doing plumbing for over three decades and has a reputation for outstanding workmanship, as well as exceptional customer service. Whether you need to install a water line or are in need of new shower head, Dan can get the job done in a timely and efficient manner. To make an appointment for water line installation or replacement, please call Dan or fill out our Service Request Form. Dan is available Monday - Friday from 8 am to 5 pm. Regardless if you are dealing with iron in your water or just want to have that perfectly purified water at you fingertips at all times, Daniel Sartor Plumbing has your solution. Water softeners, reverse osmosis, and dirt/sediment/iron filters are a few of our products that we specialize in for home and small bussiness. Tired of running out of hot water? No worries. Daniel Sartor Plumbing is an authorized dealer of Ri nnai Tankless Water Heater, a water system that can produce endless stream of hot water. 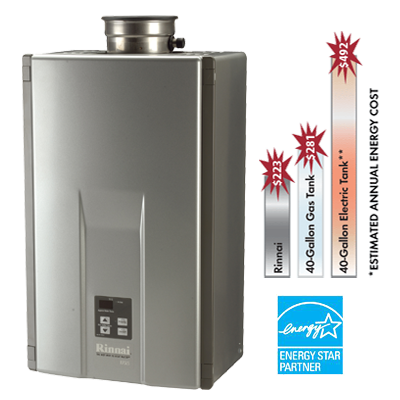 It is 50% more energy efficient than a traditional natural gas water heater and 70% more efficient than an electric water heater. Imagine how much you can save with this product! Dan is certified to install Rinnai Tankless Water Heaters. Satisfaction guaranteed! Call us today for more details on this amazing product! Unlike old technology water tanks that heat and reheat the same water 24 hours a day, Rinnai Continuum is more efficient because it only heats water when it is needed. When a water source is opened, Rinnai Continuum senses the demand for hot water flow and starts the heating process. The water flows through a heat exchanger and is heated to the designated temperature set by the user. The Rinnai Continuum system uses the feedback from a water flow sensor to adjust the fully modulating gas valve, giving users a consistent water temperature for any duration. When the water source tap is closed, Rinnai Continuum automatically shuts off until hot water is demanded again, providing significant energy cost savings up to 70 percent on monthly heating and power bills. No standing pilot light means no standby losses. 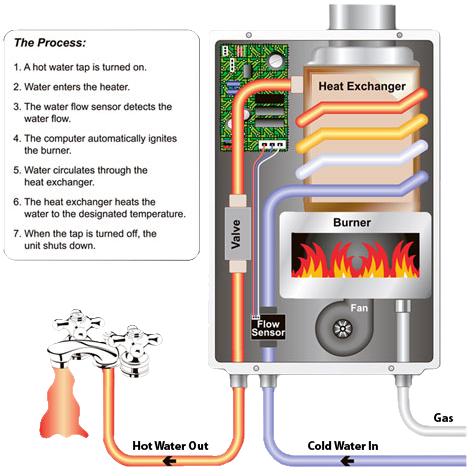 Output temperature can be adjusted to provide specific water temperatures for home, schools, nursing homes, etc. Below is a list of links to some of the brands we work with everyday. Dan provides plumbing service for the following major areas: Madison OH, Mentor OH, Concord OH, Chardon OH, Kirtland OH, Roaming Shores OH, Willoughby OH, Willoughby Hills OH, and Painesville OH. 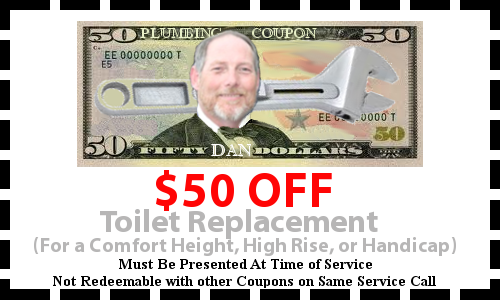 Dan looks forward to serving you and meeting all	your plumbing needs.